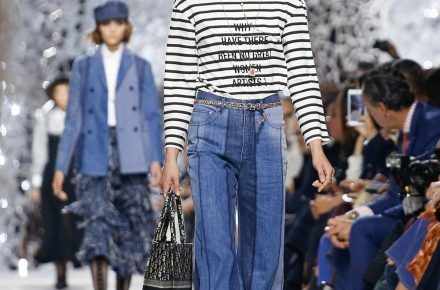 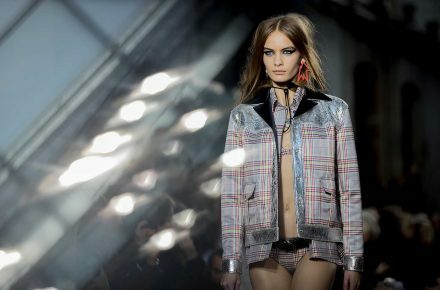 For Spring Summer 2018, Lagerfeld directed his creative muse back to nature with an installation of caves, boardwalks and waterfalls cascading off a 15-metre-high cliff in the Grand Palais. 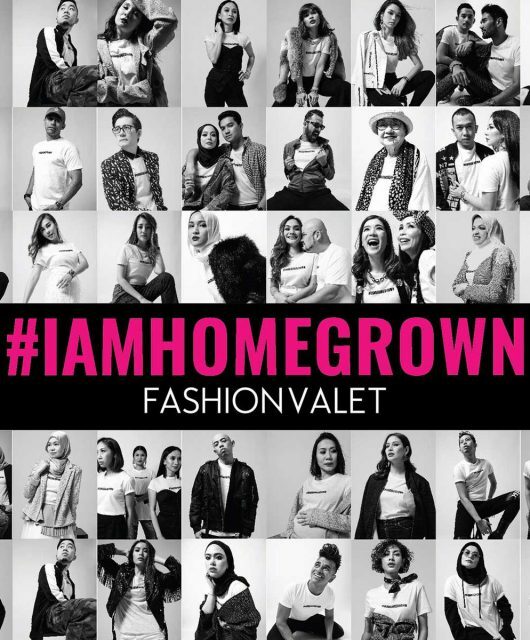 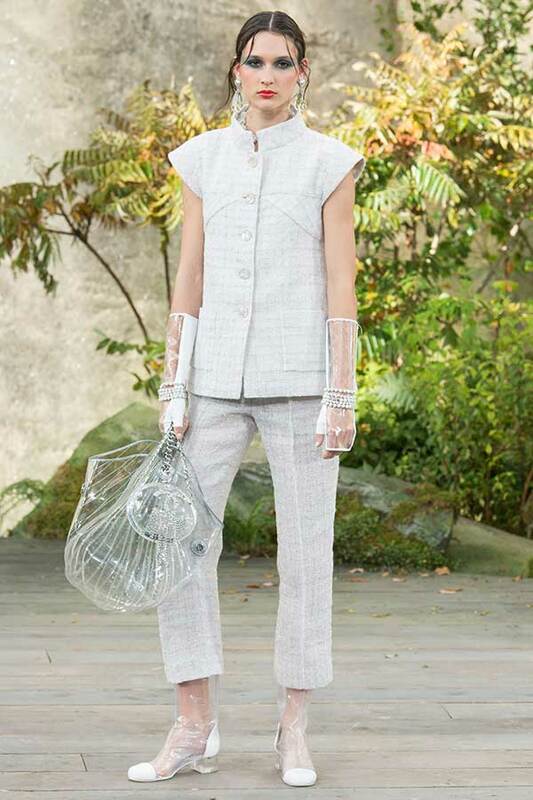 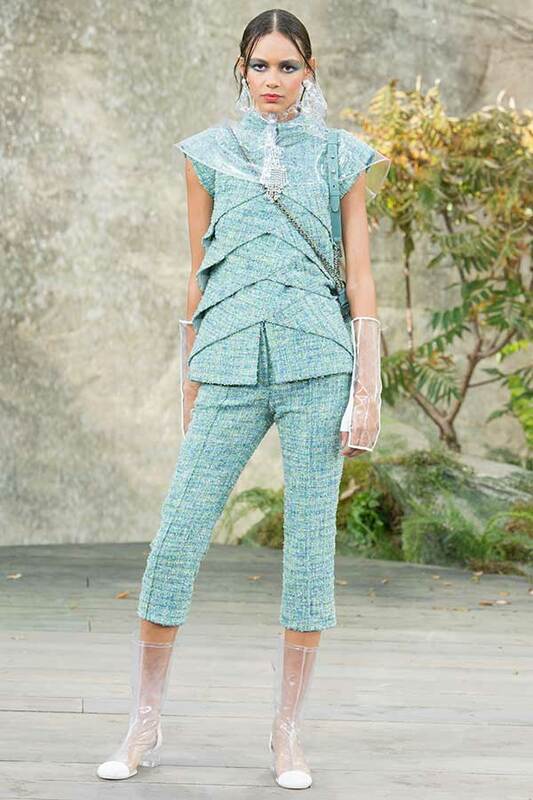 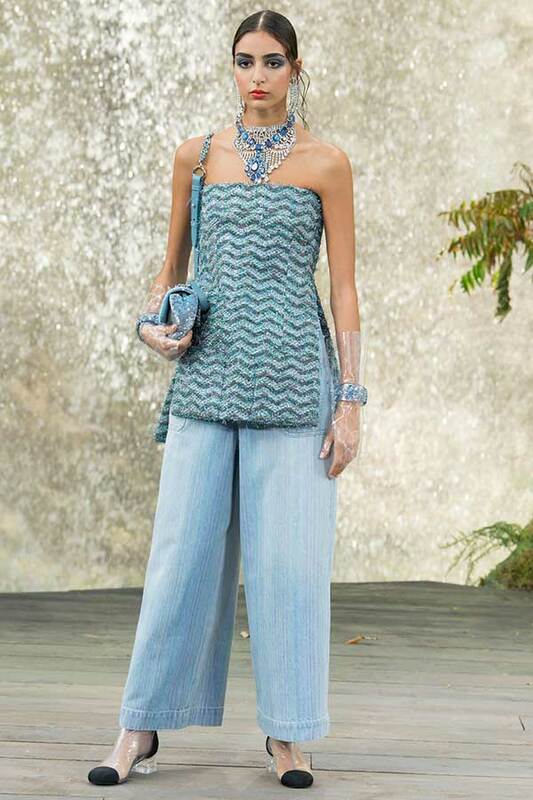 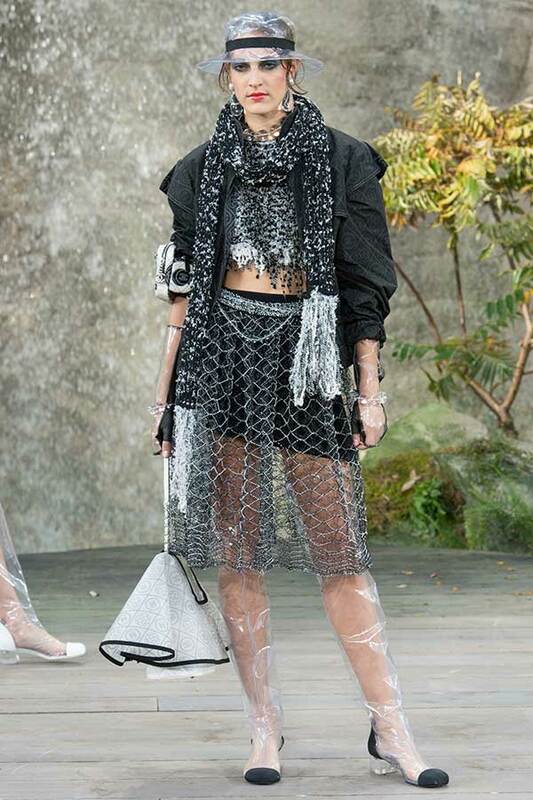 Karl Lagerfeld never fails to orchestrate a congruously themed runway show for Chanel. 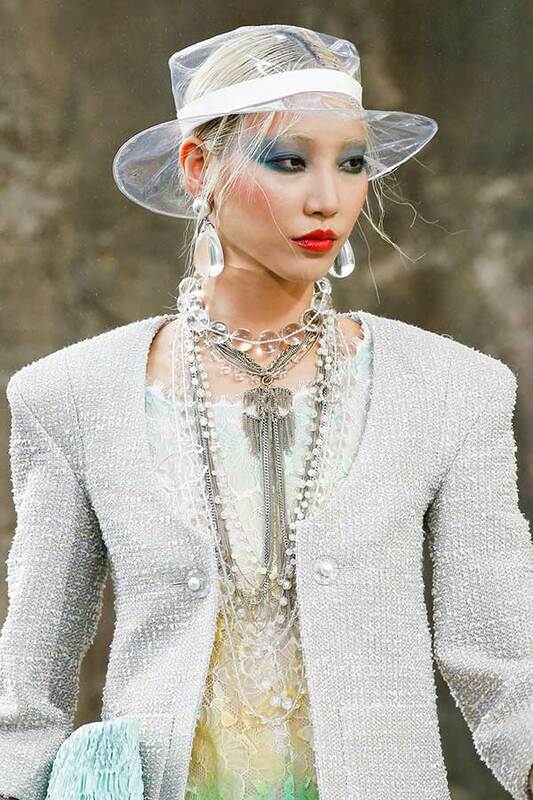 From the FW17 space station and conforming intergalactic looks to Fall Couture Week’s impending Chanel tower (mirroring the Eiffel) depicting silhouettes of the Parisian woman, Lagerfeld has proven his ingenious mastermind time and time again. 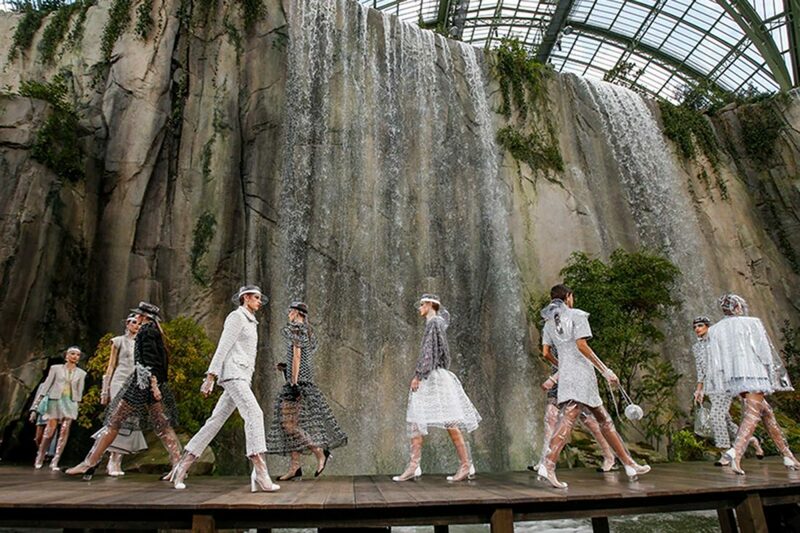 For Spring Summer 2018, Lagerfeld directed his creative muse back to nature with an installation of caves, boardwalks and waterfalls cascading off a 15-metre-high cliff in the Grand Palais. 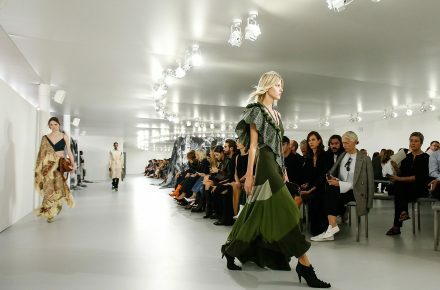 And as expected, guests immediately took their admiration of the set to Instagram and social media. 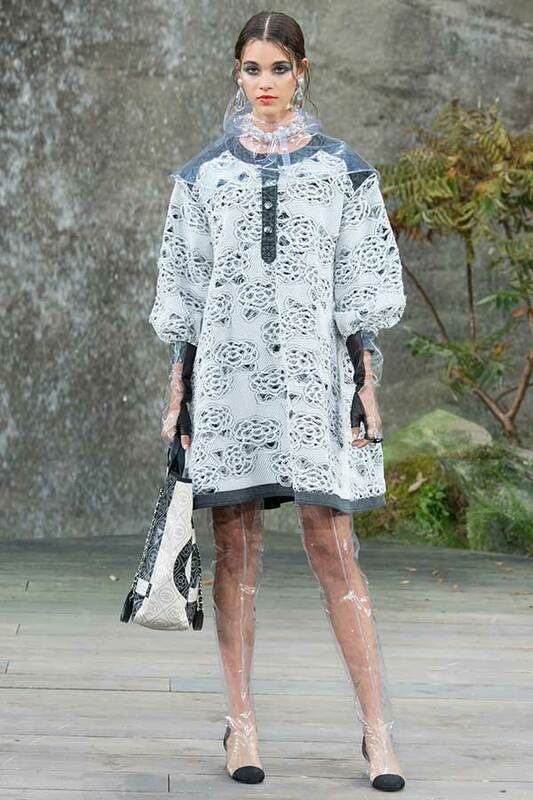 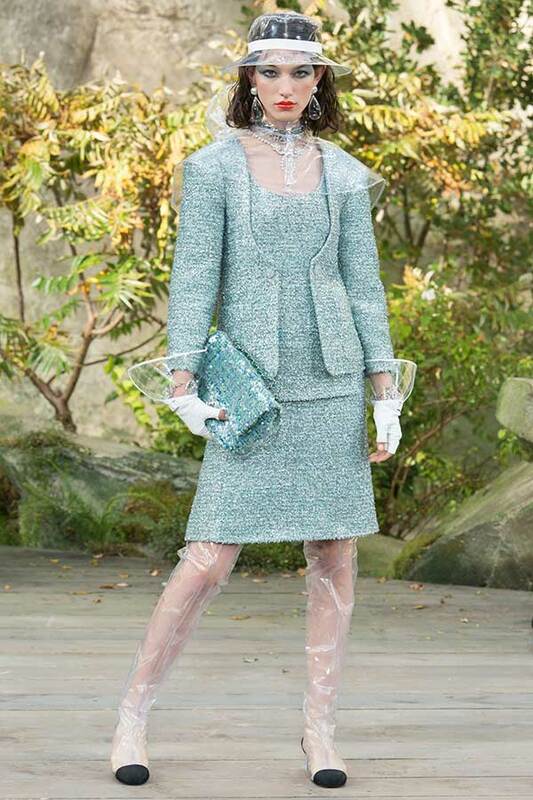 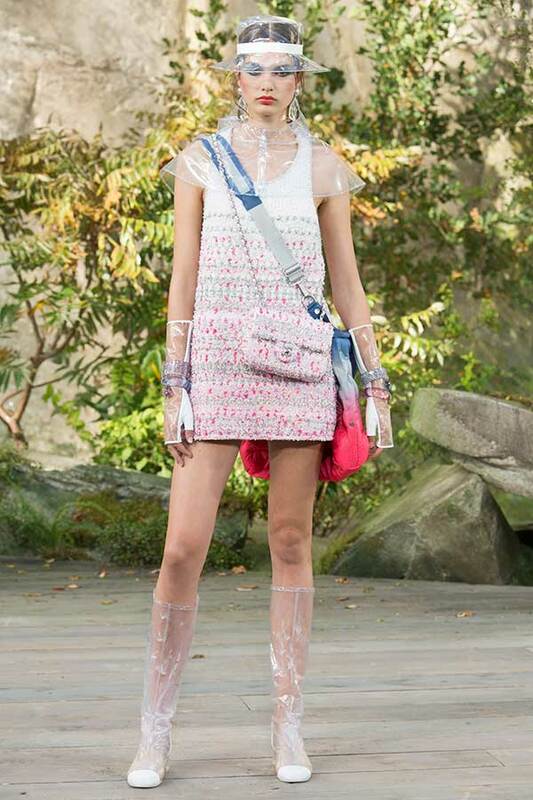 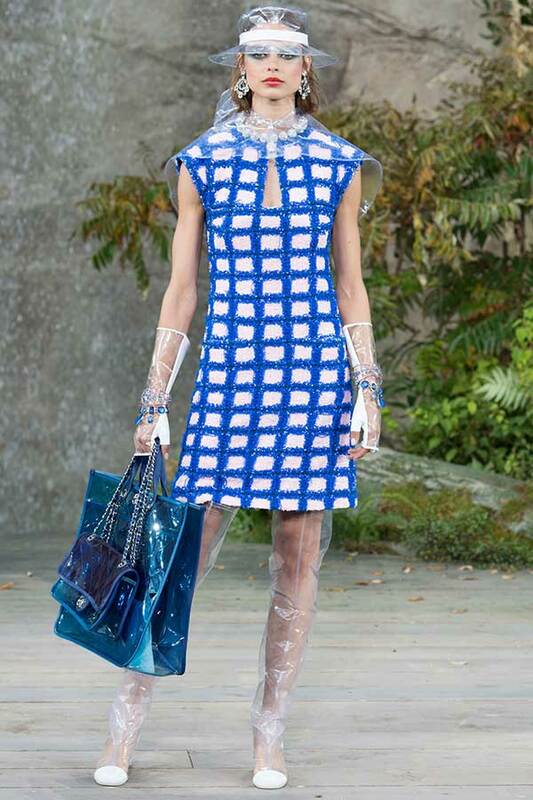 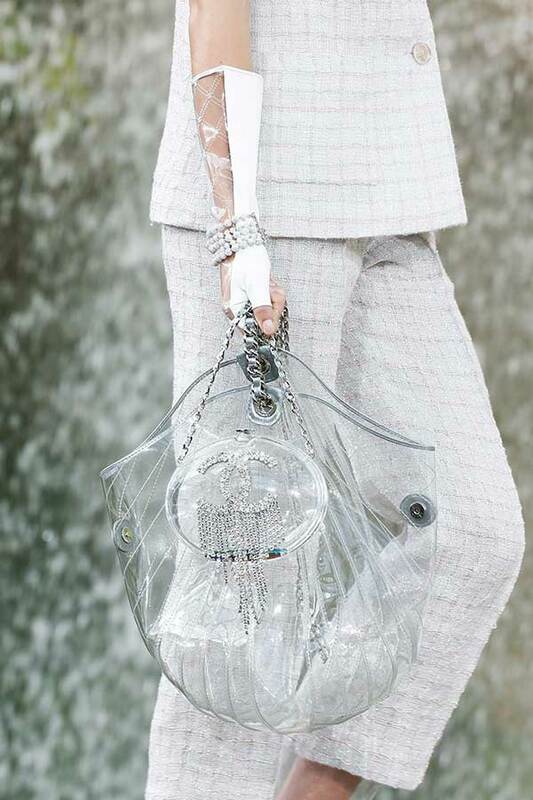 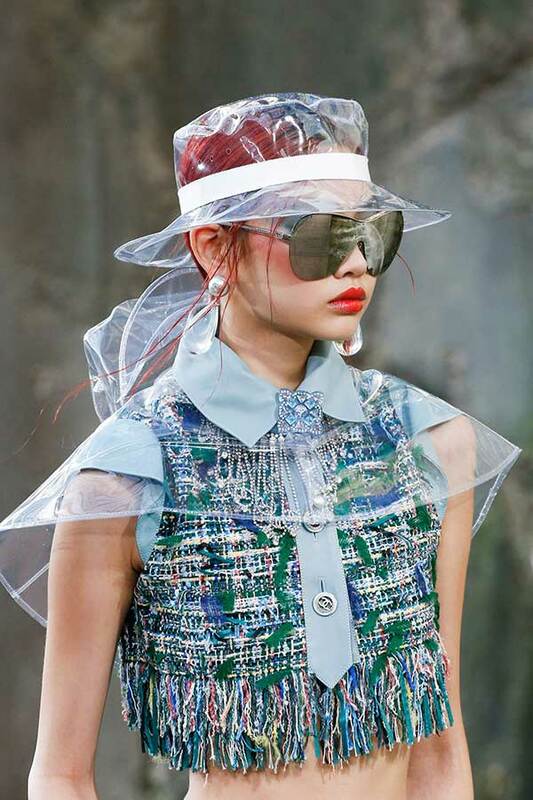 Keeping consistent with “the wet outdoors” theme, the collection featured waterproof-like designs including transparent plastic coats (high fashion raincoats, if you will) and matching patent boots, capes, handbags and accessories. 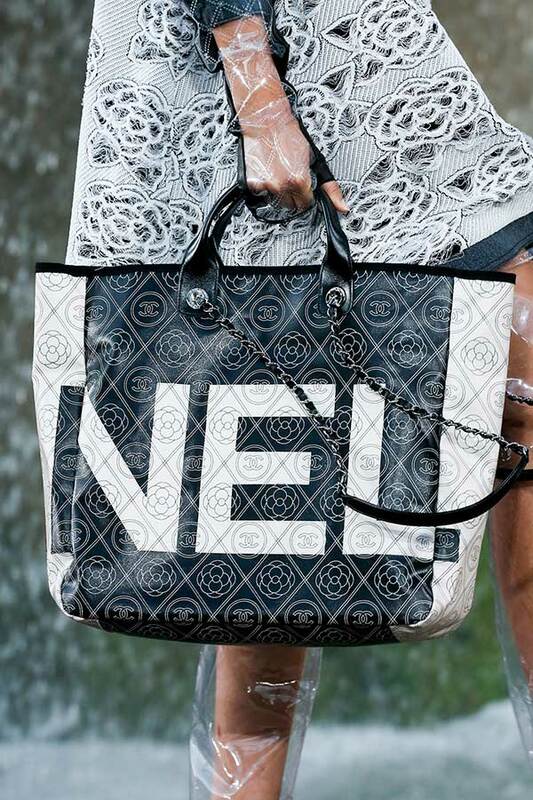 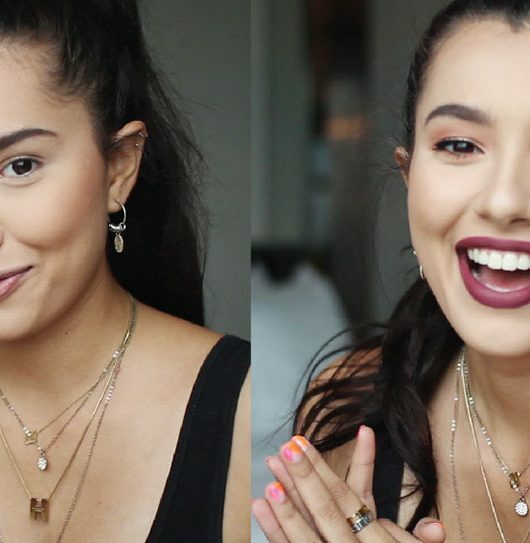 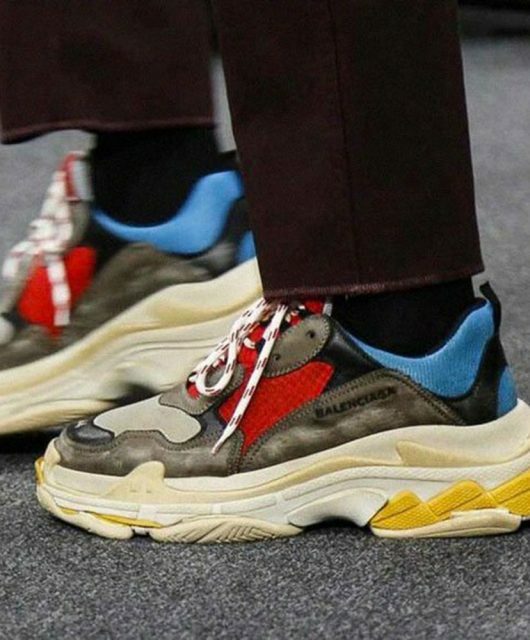 Check out the key details of the collection below (swipe left for more photos). 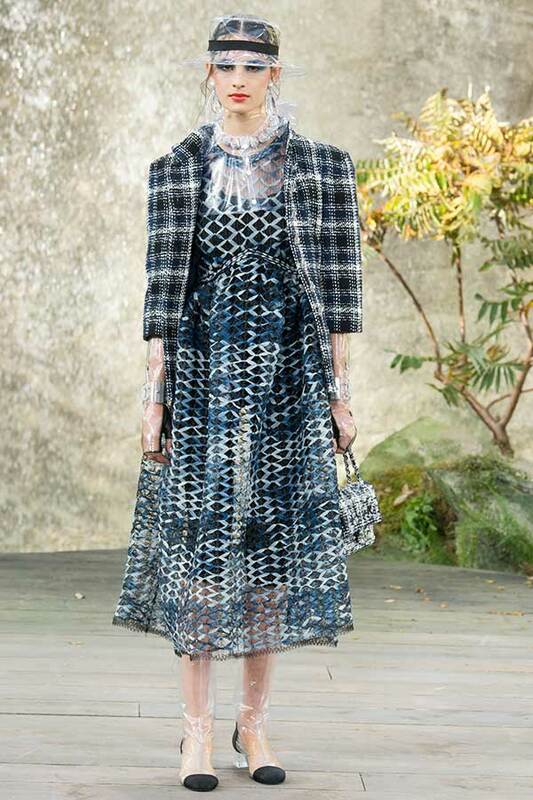 Of course, what’s a Chanel collection without their signature tweed? 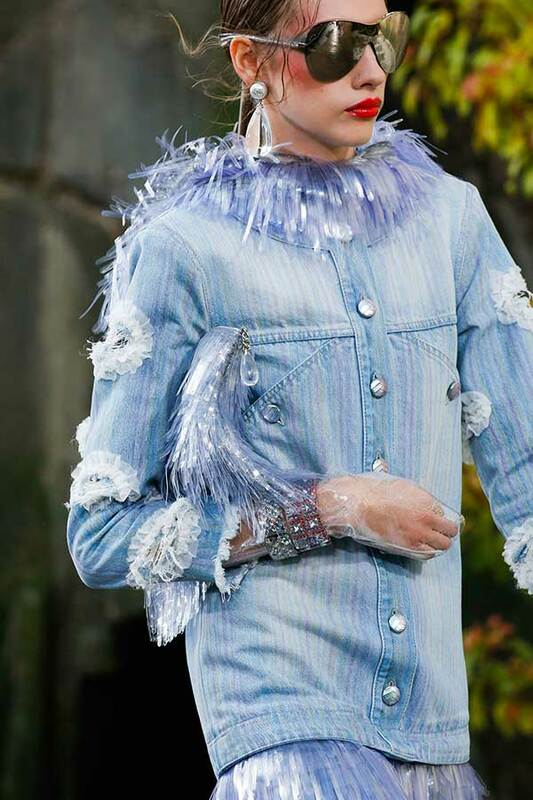 This season’s most wanted supermodel, Kaia Gerber opened the show with a fresh take on the house fabric, fashioned into a frayed iridescent jacket, tube top, and skirt; paired with raindrop earrings and over-the-knee boots. 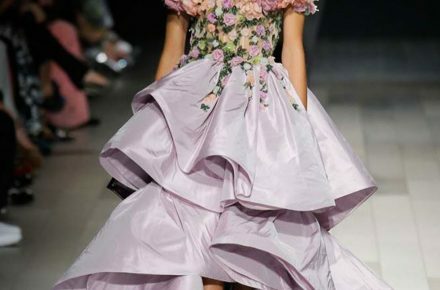 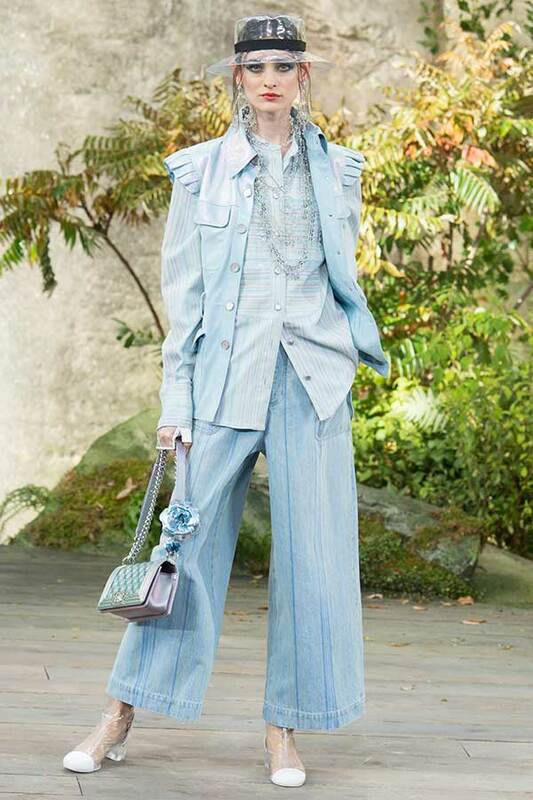 The next 88 looks followed through with tweed dresses, coats, Bermuda shorts and trousers in lively, solid and pastel colours; before graduating into blue ripple-print gowns, monochromatic minidresses and leather skirts, and ending with a series of shimmering white evening dresses.